2. Stuff the complete inside of the chassis with bubble wrap. Can you explain or show me what you mean? Stuff bubble wrap in the cabinet with the chassis in it? Like around the tubes? I have some AtwaterKents to sell. Nuthin great but I want to do it right. A 20 mini, 20 big box, 35 and 33. Put bubble wrap inside the cabinet? Wrap the whole whole radio in several layers of bubble wrap and then double box? Poppy - For those AK box radios you need to remove the tubes and wrap them separately in bubble wrap. Wrap the radio in several layers of bubble wrap then put it and the tubes in a box with packing peanuts packed in tightly and tape shut. Then take a box that is 3-4 inches per side larger and put 3 inches of packing peanuts on the bottom. Put the smaller box with the radio on top of the peanuts. Then pack peanuts around the box and fill the box to the top with peanuts so that when you tape down the lid you are putting some pressure on the peanuts and making sure they are in the box tightly packed, that way the peanuts and the smaller box won't move during shipping. Tape the outside box up good, don't spare the tape. The radio should make it through shipping just fine. I have never had an issue with single boxing radios, test equip, etc. It is all in the way you pack it. For real heavy items I have gone so far as to cut and glue thin masonite to the walls of the box to make it durable, then pack inside that. 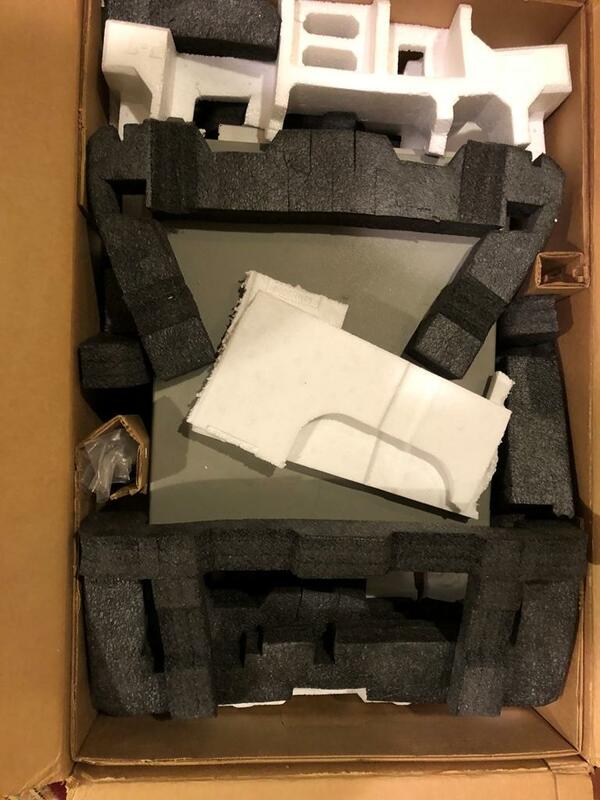 Other lighter radios like cathedrals, I always use a 1" styrofoam sheet layer placed against the inside of the box and bubble wrap item then place in the styrofoam lined box. There is no advantage to double boxing if you properly pack it in a single box. Some items I refuse to ship, such as ones with speakers attached to delicate grillwork. I could package the speaker separately, but then I have to rely on the customer being able to reassemble. Not worth the headache. There is an advantage. If you use the carrier's recommended method of packing, they are more likely to cover insurance claims. I know this from personal experience. I was sent a piece of test equipment that weighed about 35 pounds. The sender agreed to double box, and they did a good job of it, with plenty of peanuts, bubble and foam around the unit, and in and between the boxes. Yet, somehow, the carrier managed to push in a 5"-6" hole in one corner of the outer box. Whatever made that hole (forklift?!?) proceeded to go through the packing material and dented in the inner box. The result was bent binding posts. Even a triple-walled, reinforced outer box wouldn't have withstood that kind of impact. If it had been single boxed, even with the same amount of packing material and thickness, the unit's front escutcheon would have been severely damaged. As it was, due to the added protection of that inner box wall, which apparently allowed the box to be "pushed" rather than succumb to deeper penetration, I was able to bend the posts back to normal. With single-boxing, I would have had to reject the unit and filed an insurance claim (which could have been denied due to inadequate packing). That said, I would agree that in most cases where very lightweight, small items are involved, single-boxing is usually adequate. Does anyone here use airbags? I save mine when I receive something so packed, and I have a lot that have been in storage for years. They rarely leak. They also can withstand a fair amount of compression before bursting. Sharp edges do them in, of course. Amazon doesn't use them much anymore, at least not in my orders, so that source has pretty much dried up. I have not used them to ship antique radios or heavy items like test equipment, so I was just curious if anyone has and how well they worked. Some items I refuse to ship, such as ones with speakers attached to delicate grill work. I could package the speaker separately, but then I have to rely on the customer being able to reassemble. Not worth the headache. Back when I was much younger I used to think that way too. Your way of packaging does little to protect against shock wave damage when these packages are dropped, which happens many times during a single trip through any of the shippers. One inch of stryrofoam has very little in the way of shock wave absorption and disbursal properties compared to three inches of tightly packed peanuts. You way may protect the outside of a wood cabinet, but when you are talking about 90 year old radios, you have to think of the effect that the shock wave causes on those old components inside. I learned this first hand running other peoples companies and running my own how much is lost through improper packaging. We brought in shipping experts at those companies and learned to reduce our losses from damages incurred during shipping to near zero. I've learned that a little extra cost and time spent packaging saves far more than it costs, and you can't put an amount on the cost on a disappointed customer. Did we miss the bubble wrap part? Did I say that the foam was there to absorb shock? Do people actually read what I write? Even a triple-walled, reinforced outer box wouldn't have withstood that kind of impact. It was just luck that your unit was not damaged more. A forklift will go right thru the best packing. The driver either clipped the corner of the package or stopped the forklift before the fork went in further. A single wall box with 1" construction foam glued to the walls would have had probably more puncture resistance than double boxing. I will stick to my method. 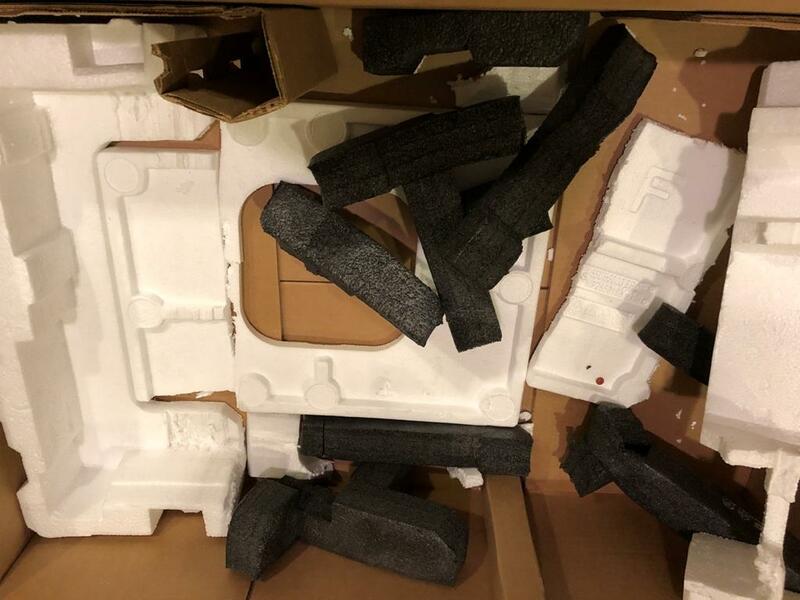 The reason that UPS suggests double boxing is because most people don't have the ability to readily cut foam, wood or other materials to reinforce a cardboard box. I do, so I prefer to start with a strong box, which means reinforcing the cardboard. The shock cushioning all comes from your heavy build of bubble wrap once you have reinforced the cardboard box. How much cushioning you put in is just a judgement call. My other hobby is astronomy. Back in the 90's I sent a 25" dia mirror out to CO for recoating. It was packed in a 1/2" plywood crate. UPS managed to punch a 1" diameter hole right thru the top of the crate. Luckily, whatever punched thru missed the mirror because it was near the corner where the round mirror wasn't, otherwise that would have been $8k destroyed. But it just goes to show that sometimes there is nothing that will protect an item. On the other extreme of packing, I just got this HP 8662 a few days ago from clear across the country. It arrived in perfect working condition. I think the seller is going to get a neutral feedback for this, even though it arrived safe. It could have been a disaster. A forklift will go right thru the best packing. The driver either clipped the corner of the package or stopped the forklift before the fork went in further. Forklift was a joke, since I have no idea what actually happened, and only know that it took a big hit from.. something. I wasn't there, and UPS couldn't (or wouldn't) tell me what happened. Apparently, you've been luckier than I have with insurance claims. My experience has taught me to follow the carrier's recommendations, to the letter. The reasons for their recommendations are irrelevant. If they want things done a certain way and the customer does it differently, that customer can be in for a rude awakening. Double-box fragile items with 3" of cushioning in and around the smaller box. I believe they, like UPS, consider anything electronic to be fragile. Chances are it was a forklift. Apparently, you've been luckier than I have with insurance claims. I don't waste my money purchasing insurance unless the value is very high, like $1k or more. I have shipped probably 100 heavy/delicate items in the last 10 years that I have been actively selling down. Never had a claim. If a $300 radio gets damaged, I would give a full refund and forget about it. I have easily saved that much money not purchasing insurance over the years.